Compared to the average of his kin, Largo is a giant. He towers over his miniscule brothers, his bulging arms granted by a bloodline of menial laborers and hardened by such duties. Such an imposing physique did not produce a gentle and humble personality however. No, instead he was amongst his own folk a relentless bully of a brute, a childhood of poverty providing the fuelling ambition behind his early criminal activities. 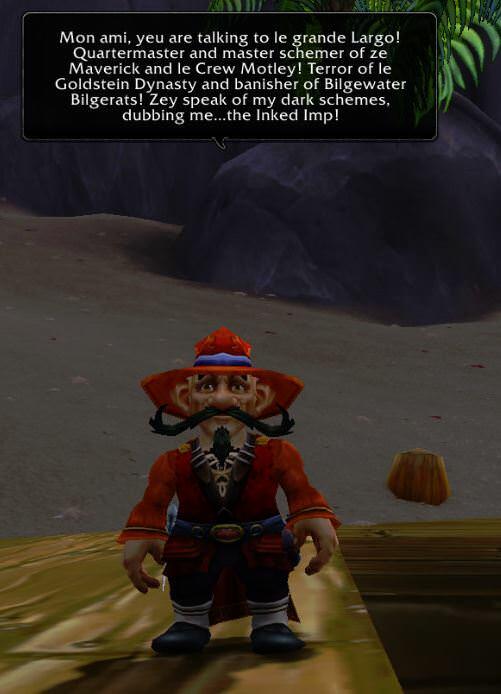 After leaving the hardships of the Gnomeregan slums, he soon found out that in the rest of the world he was not the terrifying tyrant he was amongst his own people, but rather just another half-pint twirp. Neither did this humble Largo however, as his now shrunken ego developed a conniving and scheming side, rooted in an average intellect higher than most other races. 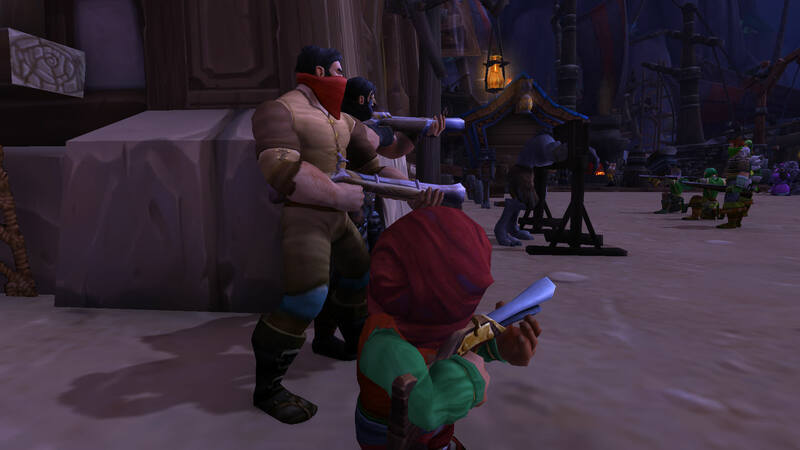 Largo's first (serious) contact with pirates came a few years prior, where he struck a bargain with several crewmates of the notorious Dreadsail Corsairs to join him and several other criminal hacks in a campaign of thievery and trickery across Stormwind. While this, his first major criminal operation, was profitable at first it soon ended in disaster when the criminal league's base at Stonewatch Keep was beleagured and taken. In desperation, Largo signed aboard with the pirates and their not-too-happy Captain, the infamous Dread Saint. Ahead waited a journey he'd never forget. The pirates were supposed to go on a hunt for a hidden Titan vault, albeit the conjured gate led them somewhere not-too expected. 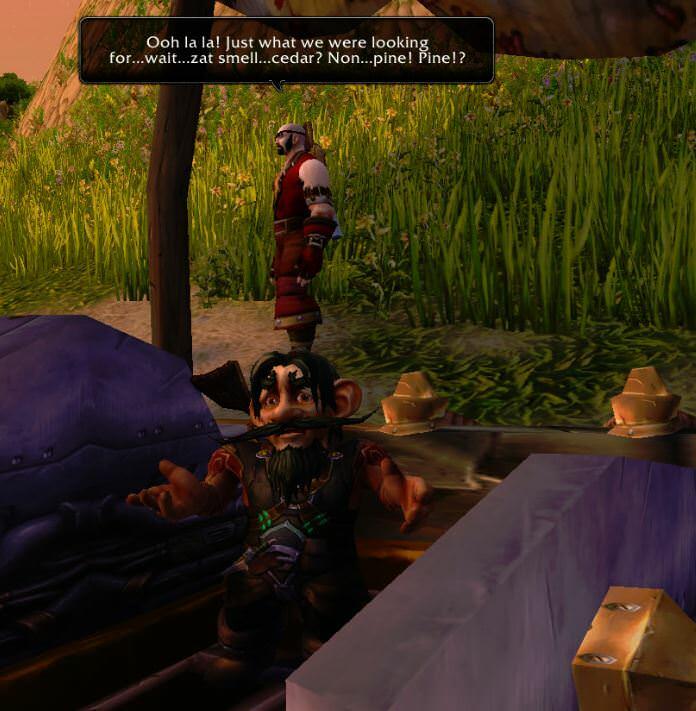 Few know what happen as fewer survived the journey, but rumours say that the Dreadsail Crew travelled back in time and to another world, the one of Old Draenor. What is known for certain however is that when the crew miraculously returned, Largo led them in a mutiny against the tyrannical Dread Saint. In the men he inspired a sense of freedom, lusted by many but feared to be spoken of under the iron fisted leadership of the previous Captain. With the Dread Saint defeated, Largo was elected to be Captain of their flagship: The Destiny's Tip. However, fortune was not yet to be his. His only merit as Captain was the charisma and respect he earned from the crew, yet utterly inept at leading them in a seafaring journey. On their first maiden venture the Destiny's Ship capsized and sank in a storm. Many of the survivors went their own ways. Some retired and found a new home in the freeport of Shipwreck Shore, while some went on to form a new "Pirate Clan", the Hullcrush Raiders. Captain Crambrunch however, was presumed to be dead. Such misfortune was not his however. Or what seemed to him at the time, fortune. At this humiliation he sunk into a grave depression. His face grew sullen and sunk, his hair turning murky green like seaweed, and his old colorful clothing sold to buy booze. In exchange, he wore colorless and sacky clothing not even ment for his size. When he was not drinking his sorrows away at the waterfront saloon, he did odd jobs for local Crime-Lords and corrupt Nobles, his glory days of pirating seeming but a distant memory. 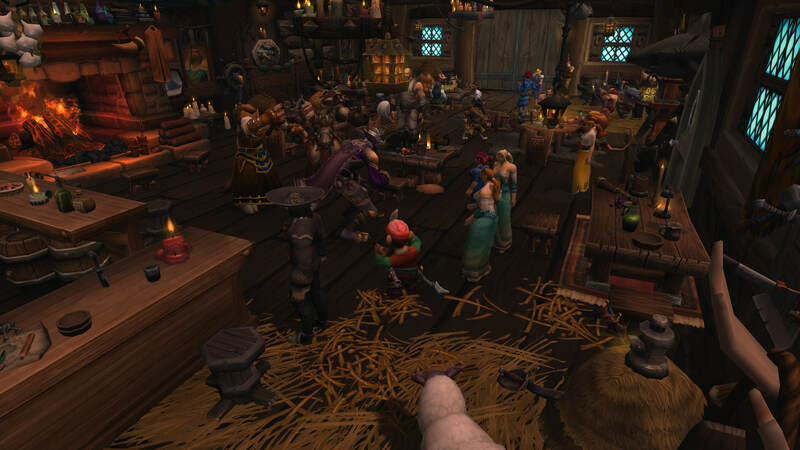 The tables turned as Largo heard of Shipwreck Shore™ - a rapacious freeport not far from Stranglethorn. No taxes, no Kings, where pirates roamed free and a voter for an Orc isn't who you wanna be. Suddenly, a glimmer of hope shimmered in his amber eyes. No, a glimmer of greed. He left for Shipwreck Shore, with only a name, pistol and that runed sword sized for a Human that he nicked once in a bar fight. 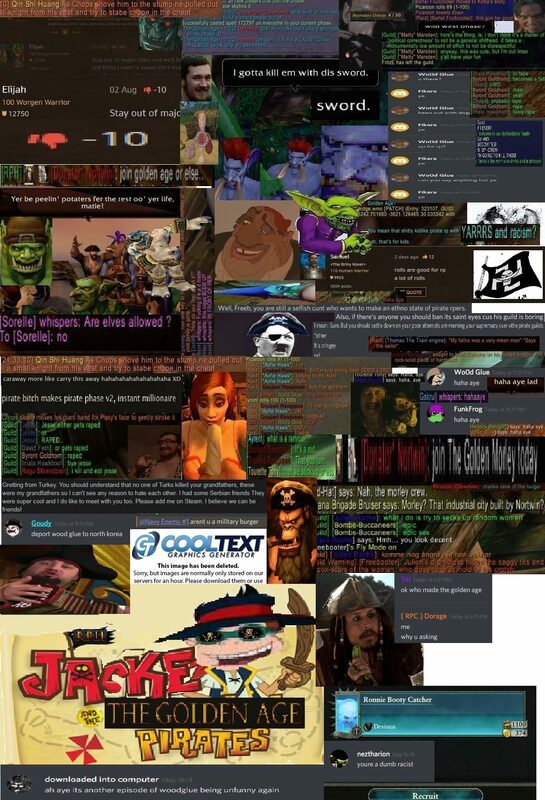 Three months, eight runaway slaves killed, some Elves beaten up and thrown in a pig stie and two mutinies Largo found as the Quartermaster of The Maverick, a clumsy merchantman now crewed by the would-be pirates of the Motley Crew, Captained by his close partner-in-crime, the Troll Malaki. 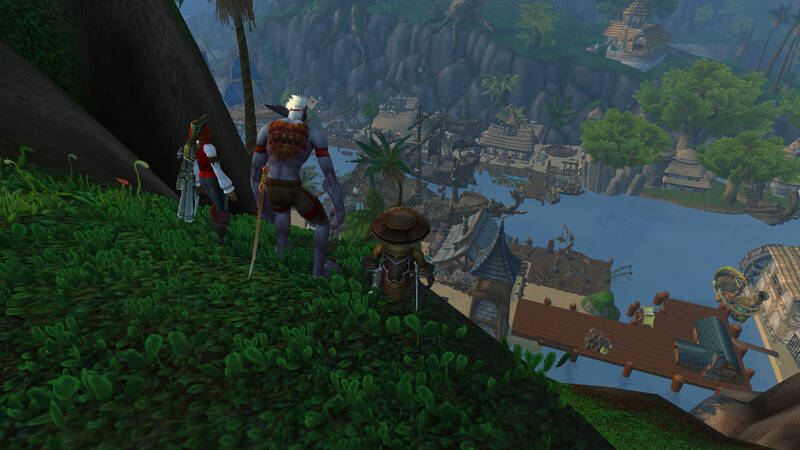 Across Stranglethorn they went on a looting spree, but their hits on the Venture Company would only sow the seeds of their malignant schemes: indeed, they found both maps to Venture stashes in Kalimdor, aswell as the son of an upstanding Bilgewater affairsman: Rosos Goldstein. 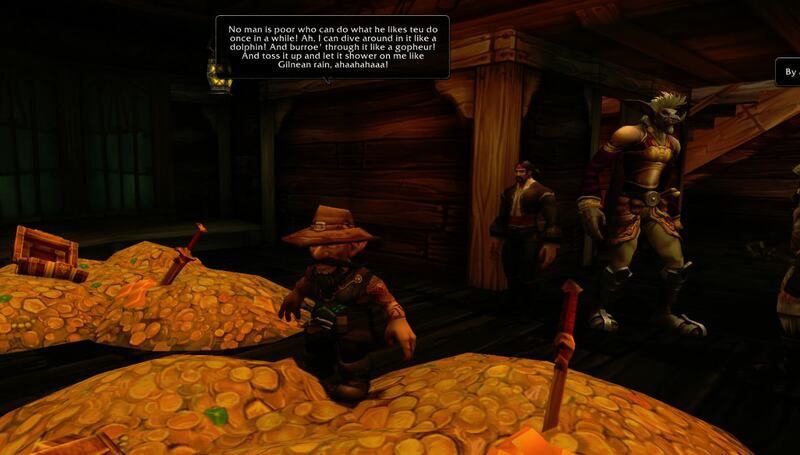 Their scheme was bold: using a captive Goblin disguised as the now diseased Goldstein boy (the son tossed into the Stranglethorn Maelstrom for lying to the crew) as coy ransom to bait out Rosos and his goons from his mansion in Bilgewater Harbor, where their vast wealth was supposedly kept. The Crew split up: Largo and Captain One-Tusk stayed ashore to bait the Goldsteins, an operation that was pyrhically won. While the Crew got the gold chest, several good men died when they escaped after Rosos realising it was not his son. Orlean, a former Knight was killed by a thrown spear, while the much-feared "Nasty Snot" bled out from a grievous wound. Shaken, the crew awaited the return of the robbers. Days passed. As the winds seemed still and the air arid dry, the Motley Crew sipping on watered-down grog and working their tans, Goldstein sails were sighted approaching the hidden cove where the Maverick had docked. Eager, the men manned the guns: it turned out to be a a Goldstein brig scarred indeed, her main-mast shot down, sails in rags and hull a'leaking - her crew, the malnourished and weakened men sent to rob the Goldstein Mansion. But now with a tale to tell...and a holdfull of gold. Having no further use for the Maverick, the Motley Crew scuttled her, salvaging her woodwork to repair the brig and crowning her their new flagship. With their great fortune amassed (each ordinary man before the mast recieving at least thirty gold pieces!) they set sail back to Shipwreck Shore™ to spend their ill-gotten wealth on fine drink 'n dine and even finer damsels - their march from the docks to The Dirty Hole one trailed by eager sailors, gold-diggers and floozies. Indeed, the crew returned home to find out that they had gained quite the notoriety after their bold adventure, and for his devilish schemes Quartermaster Largo was now whispered of as "The Inked Imp". When Largo woke up, he found himself in a run-down barn turned into a rum brewery infested with some breed of foul-smelling fungi with nothing but a headache where his memory of the night used to be and his pants on his head. Around him were armed locals, angry and wanting the Gnome in on new plots. After acquiring some much-available hair of the dog (he was in a brewery, after all), they told him what had happend. As night had come, and the crew lied snuggled up next to a buxom wench upstairs or half-snoozing in a bottom-scraping mug of grog at the tables stained a cold gust of wind blew through the tavern floor as the door burst open. With it, armed Marines from the reinforced Tirasian garrison. They too had heard of the Motley Crew and ofcourse, Largo's exploits. He's not exactly known for being humble about his e̶x̶a̶g̶g̶a̶r̶a̶t̶e̶d̶ achievements. Those on the ground level had managed to escape the villainous Captain Madrelle and his Marines through a series of Troll catacombs beneath the tavern, used for smuggling rum from the brewery. Those on the upper level had not been so fortunate. Most of the Motley Crew had been captured and were now locked up in the Navy's local base: Fort Aldergarde. Not only that, but the Marines has boarded their new flagship, and had taken all of the gold! His gold! And so he stood there, his best friend Captain Malaki and his crew locked up, and he with his pants on his head. He swore that he would set his crew free and retake the booty that was rightfully his, and that all would be fine and dandy again. Oh, how worse it would go. The following weeks Largo fought alongside the port's resistance, making new friends with the rebellious locals and opportunists. Many new schemes were hatched and advancements were made. All seemed to go perfect, until one faithful day-and-night. The Sugarfield slaves begun to revolt, the Marines found and burned down the resistance's hideout in the Brewery, and his crewmates broke out of prison. But how could that be a bad thing? The desperate prisoners used the fort's cannons to fire upon the Navy's biggest strength: the Argonaut, a warshop of a hundred guns, essentially holding the port hostage. In return, the Argonaut blasted the fort and town itself to shreds. Before that, Malaki and most of the Motley Crew had perished fighting the Marines. Malaki had, comically enough, been blown apart by the grenade of a crewman's jittery hands. Shipwreck Shore™ was ruined, and the Motley Crew were little more than a group of five with a reputation soon to be forgotten. But all was not lost. The Resistance took with them the survivors of Shipwreck Shore™'s razing to a hidden cove, The Admiral's Court. Here, the enigmatic leader of the Resistance, the Tavernkeeper Saint-Eyes, had kept a threefold of warships. Along with surviving boats and vessels from the destroyed colony, they now plot to build up a mighty fleet and retake the island from Claudius Madrelle and his Navy, and build themselves a new home. Largo cared little for this ofcourse, but Madrelle does have his golden property stowed deep in the hold of that monster of a warshop. Perhaps, he will be given an opportunity not just of revenge for his lost comrades, but also to restore the Motley Crew to their short-burned greatness once more. I am the thiccest of Roys. Writing a book, come and beta read it, why doncha? Ah, très bon mon ami, vous êtes l'un je ne vais pas baiser avec! A rebellion, a destroyed city, dozens of Marines and Orcs killed, some loot stolen, a longboat's trip to Booty Bay, getting piss drunk, escaping from assassins, being elected Captain, his crew messing up fortunes in Tel'Abim, buying a ship by selling his soul to a Demon and crowning himself Commodore of a growing pirate fleet Largo has found his crew all captured or killed, his flagship burnt and he captured as a slave by a Zandalari Warlord and his Witch Doctor Lieutenant.